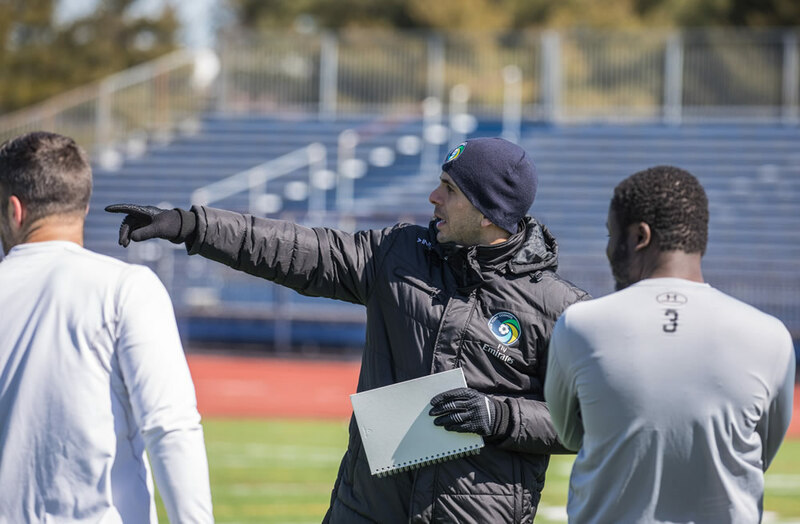 The New York Cosmos have always touted the club’s family atmosphere, so it was only fitting that when the club hired a new Cosmos B coach for the NPSL season that it was one of its most important figures in the modern era of the club. Carlos Mendes, who captained the Cosmos for five seasons, called time on his playing career this past November and will now take up the coaching reins. While it’s been a quick turnaround from player to coach as Mendes continues to build his roster, it’s an opportunity he jumped at when given the chance. “When I got the call, I was excited at the opportunity,” said Mendes. Now, Mendes has to navigate a few challenges ahead of his debut as a head coach. Former Cosmos coach Giovanni Savarese is one person that Mendes will now turn to for coaching advice. Moving from player to coach in a short space of time leaves Mendes in a position where he just recently played with or against players that he will now guide from the sideline. It’s a new wrinkle in his previous relationships that he will have to navigate. “It does present challenges, but I think it will help as well,” he said. “We know each other. When you compete and play together you know how you can push each other on the field. The players that Mendes has been around in the past, though, will play a key role during the upcoming campaign. “I think there is a respect there,” he said. “Playing against guys like Danny Szetela and Bledi Bardic every day [last year as a player in training], I think you earn that respect and it will be the same as a coach. While it’s Mendes’ first season as a coach, he has plenty of leadership experience. Wearing the captain’s armband in New York for the past five seasons as well as maturing as a player throughout his career has set him up for this next phase. Danny Szetela, who now slides into the role of captain, had the same sentiments after spending the past five season playing Mendes. Despite the team’s transition with a new coach and new faces on the field, Mendes will hope to keep one facet fans of the side have grown accustomed to: the playing style. “Just how the Cosmos like to play, how we’ve played,” Mendes said. “I enjoyed playing, keeping the ball, and spreading the field out.